Chapter 2. Why Is It Taking So Long to Develop Clinically Competitive Stem Cell Therapies for CNS Disorders? The Big Question: are iPSCs Different from ESCs? Is there a “Dark Side” to Induced Pluripotency? Why are ESCs and iPSCs So Remarkably Similar? Chapter 12. How Can Human Pluripotent Stem Cells Help Decipher and Cure Huntington’s Disease? So, What can PSC Neural Derivatives Tell Us about HD? 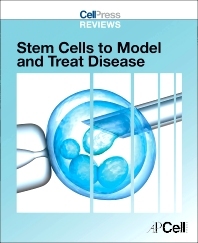 Cell Press Reviews: Stem Cells to Model and Treat Disease is part of the Cell Press Reviews series, which features reviews published in Cell Press primary research and Trends reviews journals.